It’s easy to understand why the Newport Boat Show judges chose the EFOY fuel cell as Best New Product (even given an interesting group of nominees). Those boxes above can automatically charge a boat’s batteries at 600, 1200, 1,600, or even 2,200 watts, depending on model, using just a modest amount of methanol, while apparently emitting just a little noise and damp carbon dioxide gas. But do they make sense on the practical level? I don’t know the answer to that question, but I am curious. Battery power is a big issue on Gizmo, as it lives on a float without a shore connection and when I cruise I like to anchor or moor out. In fact, I haven’t plugged the boat in since I brought it up from Connecticut in April. And I do not like to run its noisy generator, even dream of losing it. I’m definitely going to research a possible solar panel system this winter. But what about EFOY? The German manufacturer, SFC, has been making them for a while, and now they are distributed here by US Marine Products. But you’ll see that the hardware cost is steep, even in EFOY’s own comparison below, and I can’t find evidence that even European boaters are actually using them (though there is a lot of EFOY discussion on this U.K. motorhome board). 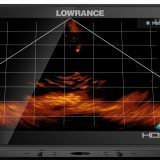 Does anyone know more about this product or the underlying technology? Willing to opine? Ben � I won’t make a comment on the EFOY, but I will pick up on your concern about Gizmo’s balance of electricity. We have if not the same very similar boats and cruise the same area, Woody is a 42′ wooden Down East cruiser with a single engine, no generator, lives on a mooring and is used primarily along the coast of Maine. In the 15 years that I’ve owned her she has been plugged in about 3-4 times; the most recent of these was 5 years ago. Unless you need full time refrigeration, an electric stove or air conditioning when not underway, I think a generator should be superfluous. I have two completely separate DC systems, one for engine starting and one for the house needs. Although there is a cross-over switch, it has never been used. I have two alternators on the single John Deere engine. The one that came with it that feeds the starting batteries and the other is for serious charging with a Balmar regulator and that charges the house bank while underway. Our refrigeration is also belt driven off the engine though there is a separate AC motor which can be used should we go to a marina for an extended stay. The stove uses LPG and our water heater uses a heat exchanger with the engine. Our house bank is sufficient to permit running the all the lights we want and the Espar heater for at least two or three days while living aboard on a mooring. I am probably installing the EFOY 2200 with a 28 L methanol cartridge in a 46′ pilot house cruiser I am having built in Maine. There is a single CAT C 18, no generator, and four solar panels. I have been researching this product for two years now and have done all the calculations. There is a new product made in the US coming on the market next year that is a more powerful fuel cell than the EFOY. The problem with the EFOY is service…the fuel cell membrane cannot easily be replaced and you have to either send the entire unit back to Germany or just buy a new one. It probably doesn’t pay to replace the membrane electrode assembly, as you could do on the old ones. 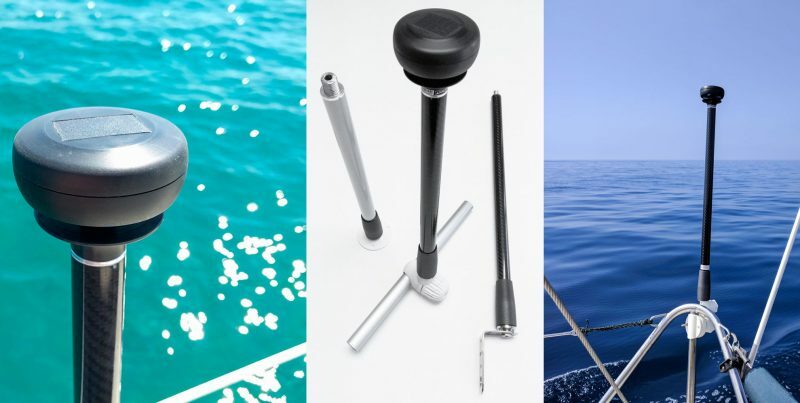 West Marine carries an older version of the EFOY called the Maxima, that allows for a greater angle of inclination, mostly for sail boaters. Any more details than that available? Ben; I have solar on my boat I use Kyrocera rigid panels on my hardtop I have 1 180 watt panel and 2 120 watt panels these are 25 volt panels and I use a MorningStar controller that is a 3 stage PWM controller that drops the charge to the proper voltage and currents that recharge 3-8D Lifeline AGM house batteries. I have considered a wind generator. Yes I have a 7.3kw generator and can and do hook to shore power but I like playing with alternative systems for when off the grid. I hate running the generator. I still don’t see the costs low enough on these fuel cells to make it worth the cost. When I saw 2200 watts I got excited until I read the specifications. 7.5 amps at 12VDC for $10k? My solar system does well and a wind generator in conjunction would do even better. When the output gets higher and the costs come down I will consider a fuel cell. I can make my own water with a Spectra 12 volt unit (model 300 with the Ventura 150 controller) and treat waste with a Hold-N-Treat/PuraSan. All lighting is LED. Now if the fuel cell had 2200 watts output instantanious (I know I must be dreaming) then I would purchase one. I might even purchase a unit like the one shown but the price point and the fact that every 11,000 watts you need additional fuel just doesn’t make sense for me at this time and I love cutting edge gadgets. EFOY’s positioning says it all. They view it as an alternative to a gas generator, not solar or wind. It’s a nicer way to burn carbon fuels than a Honda generator. You can buy a lot of solar panels (which may not be very useful in a Maine winter or summer fog) at those prices, they are even quieter than 39db and they have a carbon footprint of 0 (excluding mfg). Might be useful for Ben’s situation on a mooring, but where is the nearest methanol store in the Caribbean, Pacific, or SE Asia? I suggest it’s a niche product for a niche application, it’s not a viable competitor to wind or solar. My generator burns 1/20th a gallon per hour. I have two 180 Watt solar panels (fixed mounted so they are less efficient). I want to see things like these fuel cells do well but they don’t even come close to being cost effective. I love the environment but let’s get real – 1/20th a gallon. A look at WhisperGen http://www.whispergen.com/ may also assist your search. A off road camper company here (Australia) called Kimberley http://www.kimberleykaravans.com , scroll down the Whats New page, is also starting to use them on the high end karavan model. Fuel cells have been used for decades to power space craft and satellites. Honda has a car that they are testing with consumers that is powered by fuel cells using hydrogen as a proton donor. I have s small fuel cell that I carry to supply backup power for my cell phone. It is better than the battery backups as it never runs down when it is not used. The technology is rapidly advancing. Methanol cartridges have been approved by DOT and can be carried on airplanes…I have done it numerous times and never been stopped by security. Right now, in boating, it is a niche product. It is being offered more and more in the RV industry and about 15000 sailboaters in Europe have installed them. There are many distributors in Europe and numerous places to get methanol. Since it is very new in the US, you do not see any market penetration yet. US Marine is the 3rd or 4th company to take on this product. Previously Sandpiper technologies marketed it to provide power to remote camera installations to study wildlife. They were not very good at providing technical support however. 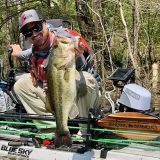 West Marine carries the older EFOY under a different name, but whether you talk to the local dealer or corporate headquarters, they know next to nothing about it. When I went to my local store, and also called corporate and inquired about the availability of the methanol, they had no idea that the fuel cell they were selling required methanol! There are several solutions to providing 12 and 110V power to your boat: solar, wind, generator, fuel cells, battery banks and inverters (and hamsters in cages) and they all work. At this point in time, solar and fuel cells, while very attractive in many respects, are still among the more expensive solutions. Draw up a spreadsheet and factor in the initial cost, fuel-either diesel or methanol, maintenance, life expectancy, noise, pollution, electrical requirments, wow factor, and whatever else and you can make the decision appropriate for your needs. Do it again a year from now or five years from now and you will have an entirely different spreadsheet. For all I know, the diesel engine may become obsolete and electric power may be a viable solution for turning the prop. In building my boat, I have been very conservative and only gone with what is tried and true, nothing new or fancy. The fuel cell solution I am using is my one and only transgression. I admit it is not proven, and I had a generator platform and fuel lines put in, just in case this doesn’t work. Wow. As so often happens, Panbots come through with excellent information and informed opinions. If I’d specified Gizmo’s systems myself, I might well have a setup similar to Tom C’s. But, alas, I have a 6kw gen set, a 12v refrigeration system, and two reverse cycle AC units. And folks who’ve cruised boats like this to Florida and beyond say I’d be nuts to dump the AC and generator. I also don’t fully understand the exact inter-relationships of alternator, charger/inverter, gen set, and loads. Like, why did the engine start battery run down last night when we pushed the inverter while testing an Intellian HD sat tv system? Which worked well (but thank goodness for the generator). At $4,200 for the smallest 50 amphour per day unit this is still many times more expensive than solar. A 150 watt solar panel should put out 50 amphours per day in most climates, maybe less in Maine. One of these panels with a good controller will cost about $800-900. And there is no fuel cost with solar. The fuel cell requires methanol. West Marine sells a gallon of the stuff for $18.00. That 50 amphour per day unit will consume about 1/2 liter per day according to the specs or about $2.50 worth per day. Not a big expense certainly but nothing beats the free sunshine. Your analysis is correct, but don’t forget installation costs of a properly done solar panel are far more expensive than a fuel cell, which essentially has almost no installation costs. I don’t want to be put in the position of a salesperson for fuel cells but solar has its own issues. Depending on the type of crystal, if a shadow from a stay falls across the panel, it could cancel out almost all charging from that panel. If you go to the other type of crystal, while it will tolerate shadows, you pay a price in efficiency. In Southern California, far more sunnier than Maine, it is conservatively estimated that you have about 4 hours of productive sunlight per day. If you do a fixed installation that is not always moving so that it remains perpendicular to the sun rays, you have still lower efficiency. Ignoring cost (always a dangerous tactic!) a solar array can take the load off the fuel cell and stretch the methanol to several weeks at least. When it is overcast or at night, the fuel cell then kicks in. I see them as complementary and not mutually exclusive. What makes them mutually exclusive for many folks at this point in time is cost. When the technology is more developed and sales go up with costs going down, it is a natural fit to combine solar with fuel cells. Webasto�s APU prototype is designed for a power of 1 kW. It is operated with low-sulphur diesel fuel; no additional service products such as water are required. The start only requires a car battery, there is no need for any electrical heating elements whatsoever. The patented reformer operates according to the principle of catalytic partial oxidation (CPOX) which converts the liquid diesel fuel into synthesis gas and creates the hydrogenic gas required for the fuel cell. The operating temperature of the APU is reached at 850 �C although the fuel cell starts generating electrical current from 700 �C upwards and thereby reduces the load on the starter battery. The results achieved already in the concept stage are excellent � the system attains an electrical efficiency of just under 20 %. At the same time, the prototype achieves extremely low emission values both in the starting phase and during continuous operation. I’ve been using an EFOY 1200 on my 11m yacht for 3 years now in the UK and it has been a big success. Connected to 300aH of 12v ‘leisure’ battery the unit powers up silently when the voltage drops to 12.4 and cuts out automatically at 13.5. The boat is on a swinging mooring where the EFOY ensures the batteries are kept in top condition. It’s fit-and-forget. I never have to run the engine for charging even when sailing or at anchor for long periods. In practice 2 gallons of methanol lasts a 3 week cruise. Downsides are the initial cost and availability of fuel – SFC insist you use their ‘ultra-pure’ methanol. I think EFOY has a real niche for coastal cruising where solar is not reliable. Why RV owners see the benefits and boaters don’t is a mystery. Your experience echos exactly what I have been hearing and reading about use of EFOY cells in Europe. To expand all our horizons, see this article on the Toyota experimental vehicle and some cost comparisons. Re the ultrapure methanol, if you don’t buy it from EFOY, it voids the warranty, but when I compared the degree of purity in their methanol to what is commercially readily available in the US that is high grade, I see no difference, and both the cost is much less and availability is much greater. I am going to experiment with one of the older smaller EFOY units regarding different sources of methanol and will post the results here in a few months. 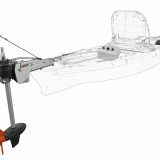 This seems like just what I need for cruising in a lightweight, outboard-powered multihull. Typically, batteries are sized to store at least 24 hours worth of energy needs. If a fuel cell can cycle on and off automatically and unobtrusively, 24 hours a day, you could easily cut the weight of the battery bank in half. Plus you don’t need any heavy high-amperage cables, etc. That is a very significant weight saving! first question: What is the life expectancy of the membrane? Since it is made of platinum and platinum costs more than gold ($1275 versus $1000 US dollars per ounze today), I would be very concerned about having to replace it. I don’t know how much platinum is used, but I would guess that it is a significant part of the cost of the unit — and that also limits how much lower the price can be in the future since I doubt the price of platinum will come down. The warranty indicates that contaminated methanol can ruin the membrane. What else can go wrong with the membrane? second question: What role does the EFOY serve? The table above compares the 50 W EFOY with a 900 W Honda, which is a bit odd. The Honda EU1000i puts out 1000 W AC or 96 W DC (12 V, 8 A). The Honda portable generator isn’t really meant to replace a battery charger! It says “During a cold start, methanol fuel cells need 15 to 20 minutes to warm up before they begin to operate. Methanol fuel cells borrow some energy from the battery system when they�re warming up.” The EFOY manual says the standby current is 15 mA and the startup time is 20 minutes. it does look like a nice addition to a boat for those who can afford it. All commenters: Why are these fuel cells so expensive? Expensive components, too little volume ? norse: I am confused how you don’t see this as a replacement for generators, wind generators, and solar panels and challange you to reconsider. For solar & wind generators: Your in the same general range of power output to keep your batteries either topped off or charge them when they are down. As with solar and wind, you get a source of energy to meet you daily needs without the 100’s of pounds of weight of bringing along a much larger battery bank or inefficiently using your diesel. Is it renewable, well no it isn’t, but it’s far more green than running your diesel and also benefits from being silent and being able to run start and stop on it’s own to charge batteries while your away from your boat. I don’t understand your objection to the 20 minute startup time. Clearly this product isn’t intended to turn on and turn off as you operate a device from inside your boat. I would think when this automatically triggers to start charging your battery, it will be running for many hours unless just trickle charging your battery. The 20 minute startup time, well thats just negligable. Not a replacement for gensets because if you have need for that much power (air conditioning or whatever), the EFOY doesn’t generate enough power. Some other fuel cell or other system mentioned above might. The EFOY should be regarded as a small battery charger, not as a genset. Not a replacement for wind generators and solar panels because it is complementary and compatible with those. They could supply more power to your battery, but the EFOY doesn’t depend on weather conditions. The combination is good. Honda generators to charge batteries? I’d regard this as a handy feature for the occasional desperate situation, but it has the same disadvantages as running your boat’s engine to charge the batteries. It’s not very efficient. It might be better than EFOY for deeply discharged batteries (especially if the AC output is fed to a real battery charger instead of using the DC output?). But in the normal discharge range, EFOY is much better. The EFOY is also great for running when your boat is unattended. 20 minute startup time — I have no objection to this at all. It’s just something that needs to be understood. 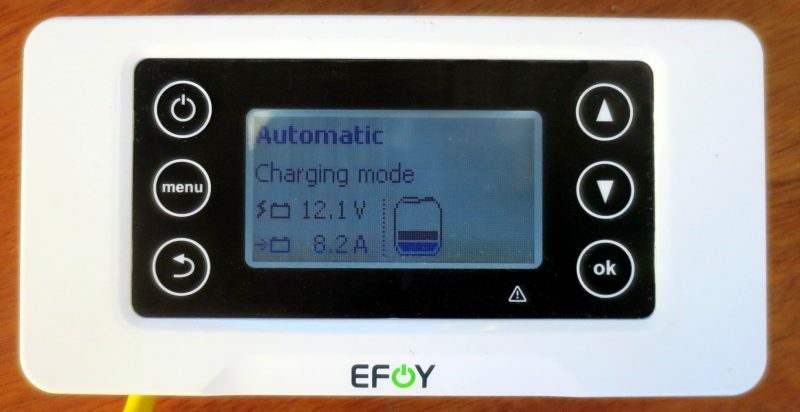 EFOY is a full-time battery charging system, not an on-demand power source. The auto makers have invested in fuel cell research big time, but so far they have just proved that this is a very difficult technology. Nothing like a good alcohol fire to keep you on your toes. The life snuffing CO2 gas this puppy exhudes might come in handy for putting out the fire, though, as CO2 will fill the hull as it’s heavier than air. All this hazard to life is worth the greenie stamp and braggin’ rights on the dock? It puts out 50 watts on explosive fuel that costs $18/gallon for $US4,200? Come on! You boys are smarter than that. 50 watts at 12V = 4.17A running wide open on its best day, when it’s new. 4 A for $4,200? Are you crazy? How long does it take a 4A charger to charge my 660AH house batteries with a 12A boat load? Answer – FOREVER! 12A – 4A = 8A load on the dead batteries with this $4,200 toy charger running wide open. 660/8 = 41 hours later the house batteries are at 50%, as low as sane people drain them. So, after spending $4,200 on this fragile gadget with the $18/gallon superfuel, you have to run the SAFE, RELIABLE, can get it fixed anywhere DIESEL generator so we don’t sit in the dark. Use your heads! This is CRAZY! Just as stupid as all those solar cells that won’t keep up, either. Thanks Larry you put to words what I was thinking and trying to say earlier. This thing isn’t even close to practical. As far as the RV crowd liking them, that I really do not understand at all. Your charging analogy is is spot on my main house bank is 765AH of AGMs. My 420 watts of solar was on the edge of absurd but I do like the solar back up. Lets face it the internal combustion engine (generator) is pretty inexpensive to run or beat. Same with my main engines driving alternators when cruising. boats that are moored long times and while used never receive full charge. They should have solar panels. Just to keep them in good condition and topped up. When you are out in nature and you dont want to run engines but still use your fridge or whatever, which you of course run lean to save power, it is great to have a fuel cell. Also if you live up north and are out during the winter-half of the year. So long as the initial investment is made, compared to the cost of the boat etc its not huge, the fuel cost and almost zero effect on environment, provide me with the power I need to keep power consumption in check. I simply have to think less about it. No sound no fumes no nothing. Sailboats with smaller engines and less batterycapacity and less interest to burn fuel… are the perfect users for this equipment. If you have huge banks on a huge boat etc why are you even looking in this direction? If the boat is big enough to not hear the engine when it is running I guess you dont bother to buy something like this (not to mention u are probably not that bothered about your carbon footprint). And you cant really be that close to the nature at shore to need or nourish its use either. And chances are you already have a pretty big diesel generator installed anyways 🙂 Pretty simple. I think when the price comes down we’ll all have them. Speaking of DMFC (direct methanol fuel cells), Toshiba is now selling a very small one in limited quantities. Too bad this technology isn’t suitable for a boat — I would love to power my boat from the holding tank. Anyone with more info here ? After almost two years of research, testing a prototype, and energy calculations a DMFC-direct methanol fuel cell,is being installed on my new Wilbur 46′ pilot house cruiser, in addition to four solar panels,by Wilbur Yachts. This will be my sole source of auxiliary power when on the hook, and there is no generator installed, (hence no fumes, noise and maintenance). I will report back after several months on how it is working. I called around to several major manufactures around the country out of curiosity as to fuel cells. Most had no idea what I was talking about. It is my opinion that currently John Kachmar and Dave Larson at Wilbur Yachts in Southwest Harbor, Me have taken the lead in understanding and installing this new technology. They are aware of the products available, the installation requirements, and how to best match them up with your energy needs. They have built a small utility room under the pilot house, that houses most of the pumps, holding tank, electrical distribution panels and the fuel cell. This isolates it from the heat of the engine room. I plan to reclaim the “waste” water for other uses on the boat, as it is pure water, even more pure than distilled, as it has no dissolved gases in it. I have decided on an EFOY 1600 to be installed in my Hanse 400. The conciderations are many, but in sum, i.e over 4-5000 hours of operation, I must say that the ease of operation (fully automatic) and silent operation was the two main reasons. Hi .. was reading your article on the methanol cell & also you were saying that a new more powerful one was being developed in the States. If you have an details I would love to see. I have just purchased a second hand efoy. This may also mean that I’ll get to test an EFOY.